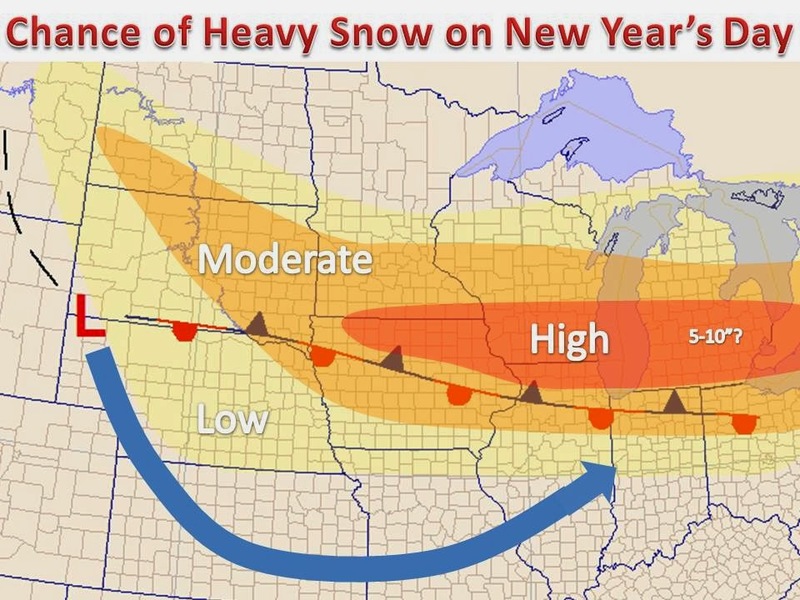 Midwest Winter Weather Blog: Heavy Snow, a Real Possibility on New Year's Day! 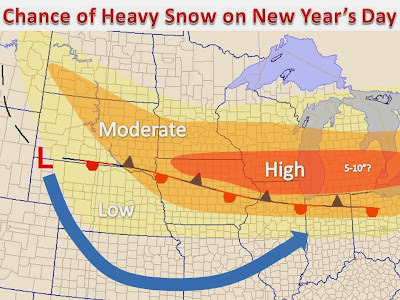 Heavy Snow, a Real Possibility on New Year's Day! Storm number 2 this week, and it could be the big one! An Alberta Clipper with an upper level low pressure associated with it will squeeze an ample amount of moisture in parts of the Midwest. Computer models are still struggling on the placement on amounts of snow this system will drop. With the cold air mass in place, all of the precipitation will be snow and will pile up quickly with high water to snow ratios...leading to a light and fluffy snow yet again. 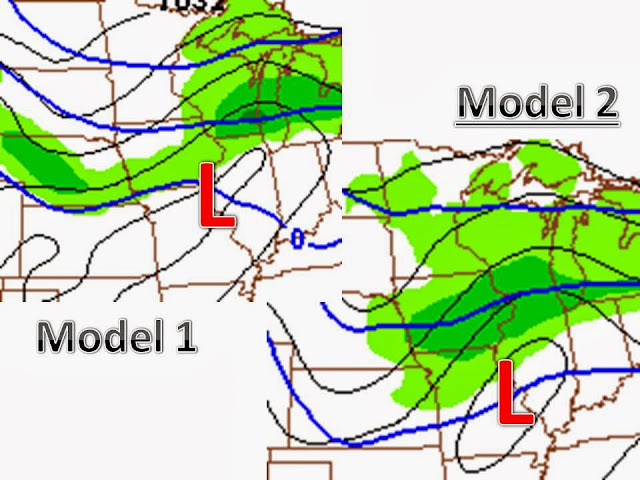 With the overall flow and model runs over the past couple days, the best best for heavy snow will be along an axis from Detroit to Milwaukee and points west. 6"+ of snow is not out of the question as this storm has the potential to be a "winter storm warning" criteria. The question will be how organized a deformation zone (if it happens) can set up and how concentrated the relatively limited moisture can be. Please stay tuned for updates on this possible New Years Day winter storm! We will put together a snow map once models are in agreement!